Epic is Right! Swift Fly Fishing via TFM. Headhunters and Swift Epic. Epic is Right! Swift Fly Fishing via TFM. A couple of months ago I was reading another great review of the Swift Fly Fishing “Epic” fiberglass fly rods. 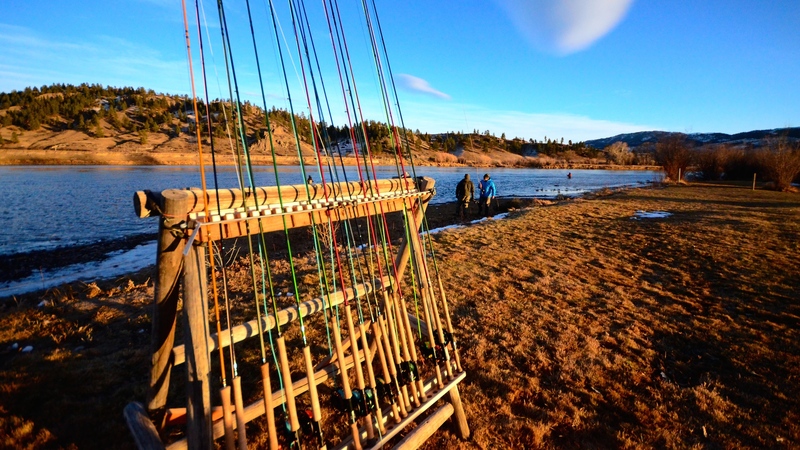 As with most of the fiberglass fly rod reviews I’ve read, it was good. In fact it was glowing. While I’m not a glass fanatic, I do enjoy throwing them in the right circumstances, and love all the great colors and builds being produced these days. So I cruised on over to the Swift Fly Fishing website to see how much a blank was going to set me back. The sticker shock hit me like Simon Gawesworth swinging a Skagit Rod. $340 Kiwi Dollars just for the blank! A little more than I was planning to spend on a rod that probably wouldn’t be a daily driver. I’ve built a few rods, and know that I’m going to drop another $100-200 on components, and I’m not confident enough in my building skills to drop $500 on a DIY setup for stomping around some creeks. Cameron replied that they were. But in typical Cameron fashion, he wanted to send us one so we could decide for ourselves (Cameron has a huge fleet of demo rods from many of the world finest fiberglass manufacturers and builders). He also pointed out that you can actually get a blank for under $300 at some US distributors. Cameron knows a lot about fiberglass fly rods. He has probably cast more glass blanks than anyone in the world. In fact he should be credited for the fiberglass fly rod revival. Hard to say how many of the new glass makers owe their existence to Cameron. So if he says it’s good and we should try it, we should try it. Fast forward to December and a text from Cameron telling me that an Epic 580 is in the mail and arrives a few days later. It’s a beautiful rod (the one pictured above) and built by Tightloop Fly Rods in Romania. Jared Edens and I spent a few hours one afternoon casting it on the range at Headhunters. Jared took the honors and cast first. It took about 4 false cats for a big grin to spread over his face. Jared quickly gave it a “double thumbs up” and declared it more than a “situational” fly rod. I tried it out next and agreed. I kept setting it down after 5 minutes, then grabbing it again. Fun is the word. One of the lightest and quickest glass rods I have thrown. But it also has that lively feeling that many glass rods lack. You immediately want to take it out to the river. While you can definitely max out the distance pretty quickly, it throws within normal fishing range beautifully. Like most glass rods, it is easy to overpower if you are used to casting the current lineup of graphite cannons from Sage, Orvis, Scott, etc. But if you use light to moderate power it will make you smile too. Really feels like an awesome rod, and Cameron says the 8′ 4 weight and 8’6″ 6 weight are even better. We’re planning on getting at least one of those demo’s in later in the year when we can go test it out on some spring baetis or summer caddis. I for one want nothing to do with testing out a custom rod with a bobber and pink lightning bug setup in the winter. So how about it Headhunters? I hear an awful lot about glass in the virtual fly fishing world, but we don’t really get anyone talking about it in the shop or looking to purchase a glass rod. Do you guys and gals like glass rods? Would you pay top dollar for a premium fiberglass fly rod? Would you rather build it yourself? Would you like to see glass rods at Headhunters? Let us know in the comments below. 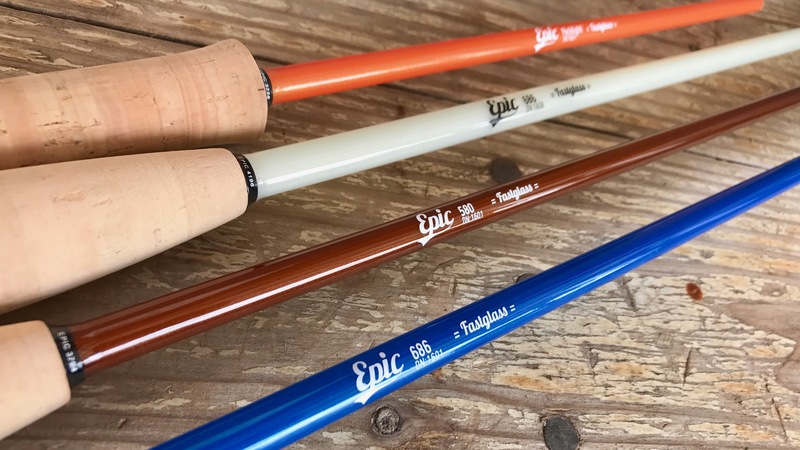 If you have any questions about the Swift Epic blanks or any other fiberglass fly rods, contact Cameron Mortenson over at The Fiberglass Manifesto. 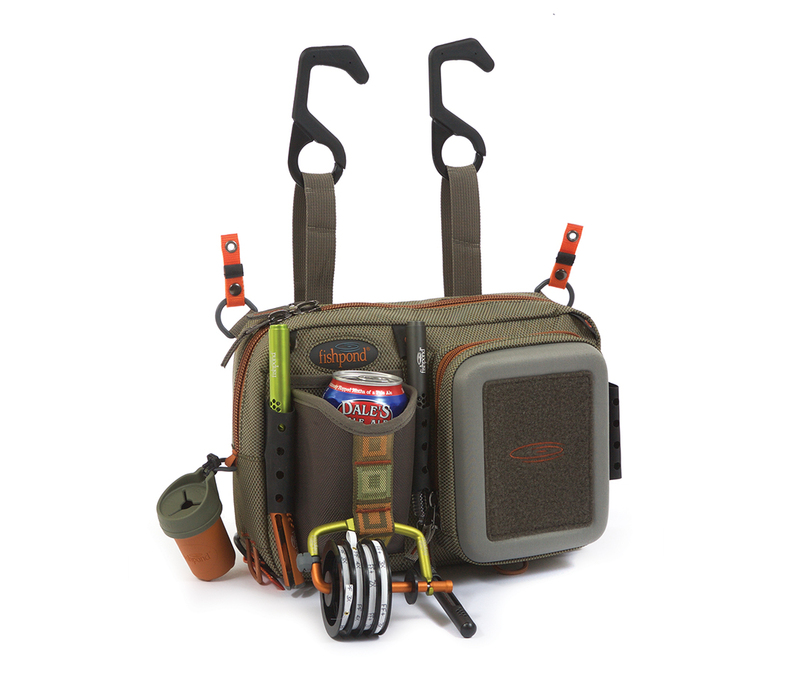 Also check out the Swift Fly Fishing website.